A bad witch's blog: National Hugging Day: Who Needs a Hug? National Hugging Day: Who Needs a Hug? Yesterday, I had a tooth extracted at the dentist. Today, I could really do with a hug. So, it is probably a good thing that today is National Hugging Day. • Dogs awarded title of ‘most huggable’ followed by cat, rabbits, horses and… elephants! In pursuit of happiness, people traverse the globe, explore the world’s wonders, splash out millions on material goods, yet often still carry that empty feeling. If only the happiness chemical, oxytocin, could be homegrown – well it can! According to research, a hug lasting seven seconds or longer can work the magic of releasing the happiness hormone, perking us up from gloomy blues. That’s great news for Brits – to mark National Hugging Day, which takes place on 21 January each year, and inspired by the huge positive response to the ‘Duggee Hug’ featured in the BAFTA award-winning CBeebies’ show Hey Duggee, BBC Worldwide commissioned research, which reveals that the average hug lasts 7.7 seconds. However, Brits are in desperate need of more hugs. The poll shows that we would like an average of nearly six hugs a day, with those in the Midlands being the most huggable – demanding a whopping 12 hugs a day! Unfortunately we fall short, with Brits only getting an average of two hugs a day, and 33% (17.2m) not receiving any hugs at all. So where are all the hugs going? Research shows that Brits may hug their partners the most (50%). However, daughters (23%) and sons (19%) come a close second and third, showing that we are still hugging our children more than our female friends (17%) and our mums (13%). It would seem that family is oxytocin central – 37% believe their partners give the best hugs, followed by daughters (13%) and sons (10%). 35% of folk say they enjoy hugging as it shows affection and increases bonding, and many also say it relaxes them, relieves stress and gives them a sense of belonging. As a nation of pet lovers, 9% of Brits even believe that their cats and dogs give better hugs than their male friends and colleagues! Dogs were deemed the most huggable pet (44%) with cats in second place (19%) and rabbits hopping into third (7%). If you’re single, fret not since female friends (9%) and mums (7%) are not too far behind in giving good hugs. Men, unfortunately lag behind in this category as well and lose the battle to pets again with dogs and cats found to give better hugs than male friends and colleagues. You would think with a shortfall in hugs, we would take as many as we can get! Women think otherwise with stats revealing that 48% of women are more likely to avoid hugs than their male friends, and in total, 21.5m Brits have dodged a hug at some point in their life. Happiness and hugging expert, Andy Cope, has plenty to say about the humble hug, “Hugging stimulates the production of oxytocin, a neurotransmitter that acts on the brain's emotional centre. It promotes feelings of contentment and reduces anxiety and stress as well as promoting feelings of devotion, trust and bonding. But there’s more. A mum's touch even seems to mitigate pain – remember when you were a child and you fell down and grazed your knee? A loving hug made it all go away. 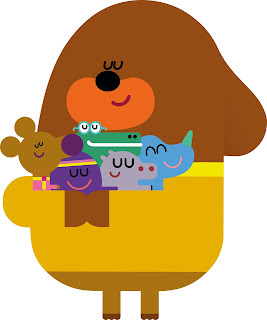 CBeebies’ Hey Duggee certainly knows the benefits of hugs. 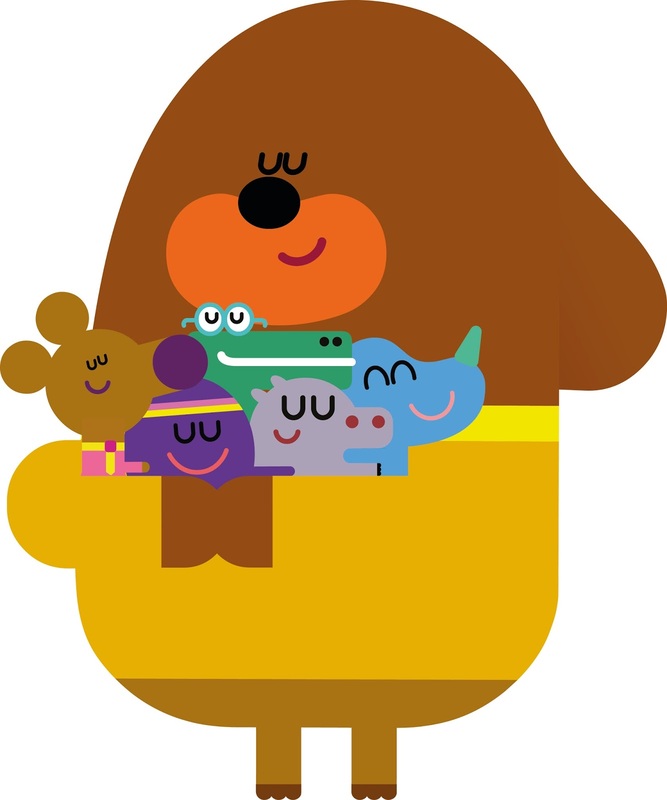 A pre-school series that encourages young children to embrace the embrace, each episode ends with the animal characters gathering together for a #DuggeeHug – the perfect end to a day of activities at The Squirrel Club, all compassionately overseen by our loveable canine hero, Duggee. The research for Hey Duggee was carried out online by Opinion Matters between 06/01/2017 and 09/01/2017 amongst a panel resulting in 2,001 general respondents in the UK. All research conducted adheres to the MRS Codes of Conduct (2010) in the UK and ICC/ESOMAR World Research Guidelines. Opinion Matters is registered with the Information Commissioner's Office and is fully compliant with the Data Protection Act (1998). Big hugs for your tooth trouble. Brits get two hugs a day on average? , boy am I missing out LOL.